This past weekend I went to Disney with my parents and my boyfriend. It was exactly what I expected. Everyone wished us to have a “magical day,” there wasn’t an ounce of trash on the ground and there was an endless amount of Mickey shaped popsicles. But what really made the trip special, at least for my boyfriend and I, was the chance to have a very romantic few days with any and all problems pushed aside. 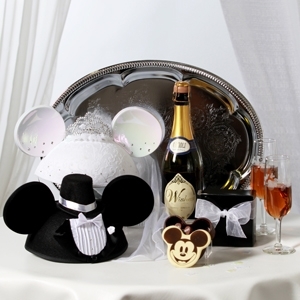 After all, how can you resist the warm weather, romantic atmosphere and of course, the bride and groom Mickey ears. Now, I know many would argue that getting married in Disney is corny or cliché, but I have to disagree. The vacation hot-spot is the ideal place for a wedding, and there are several reasons why. For one thing, Disney may just be the most accommodating place I’ve ever visited. They truly want you to have the best time you possibly can, and they go out of their way to assure that happens. 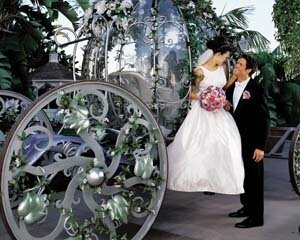 The Disney weddings website has a whole slew of options for couples, making things stress-free. From recommendations on where to stay, virtual venue tours and an option for a wedding specialist, Disney helps lighten the burden of planning the big day. 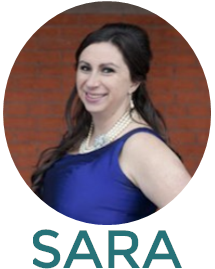 But what I found really exciting about the site was the inspirational engagement and wedding stories posted for all to see. What’s more romantic than a place that has inspired thousands of weddings? With so many people showcasing their love right outside the castle, it’s impossible not to get at least a little teary-eyed, even for the most cynical vacationers. breaking their budgets. So, really, the chance of having a disgruntled bridesmaid or unhappy mother-in-law goes way down (especially if the weather’s especially nice). Still not convinced? Well, maybe it’s not for everyone. But I can say, as much as I am influenced by the pessimism of the city, I still have that little piece of princess in me. I still get excited when I see the giant parade going down Main Street in Magic Kingdom, and I still get just a little bit nostalgic when I see little girls dressed up in their Cinderella gowns. And it doesn’t matter to me how cliché a wedding destination is as long as it’s a place that is meant to inspire love, a place that will ensure wonderful memories for me to look back on one day.